ICC Children's Ministry exists to serve the LORD by partnering with parents to help grow children in their love relationship with Jesus, and help them share his love with others. Our desire is to teach our children the gospel message in ways they can understand at each stage of their development. By nurturing their young and growing faith in this way, it is our hope that they will put their faith in Jesus when they are old enough to make the decision and make their faith their own. 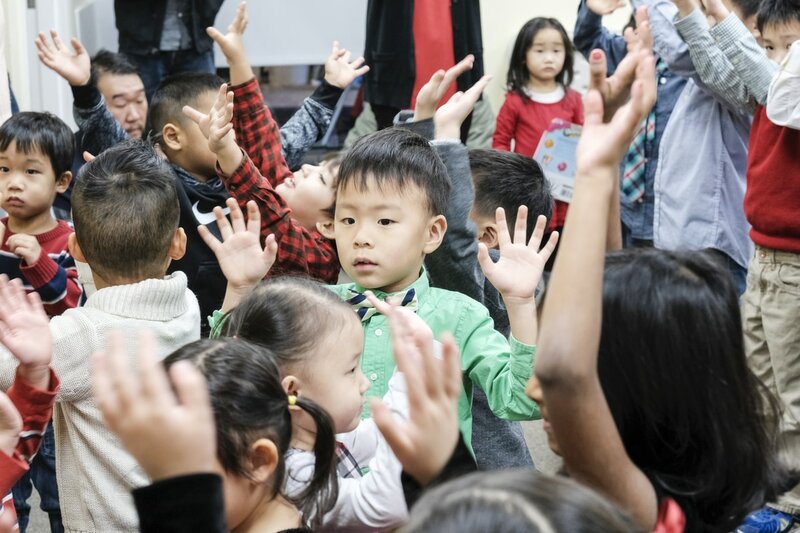 ICC Children's Ministry serves children and families from 18 months to 5th grade. - Our Toddler Ministry serves Toddlers ages 18 months to 2 years. - Our Preschool Ministry serves children ages 3-4 years old through Kindergarten. - Our Elementary Ministry serves children in 1stthrough 5th grade. We use The Gospel Project Curriculum where children are taught the Bible chronologically with a Christ-centered focus. All ages are taught the same passage of scripture at an age-appropriate level. Over the course of three years, children will journey from Genesis to Revelation and discover how God's plan of redemption unfolds throughout scripture. More than promoting "moralism" or focusing on changing behaviors, our prayer is that as our children see Jesus in all the stories of the Bible, their hearts will be transformed and compelled to want to know Jesus more and love Him by embracing His call into relationship with Him. 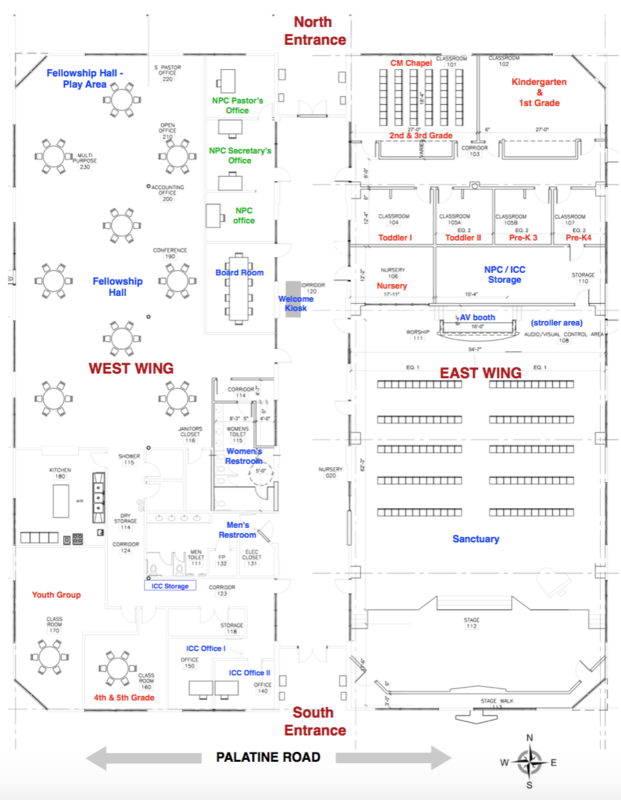 9:15 Parent Drop off & sign in Children's Ministry Chapel (P3 to 3rd grade). 4th & 5th grade students sign in at Welcome Kiosk and go to worship with their parent(s) or with teachers. 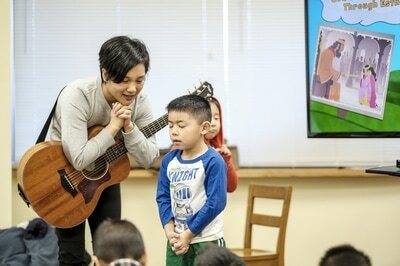 9:30 Large Group worship at Children's Ministry Chapel (1st to 4th grade), Preschool go to their respective classrooms. 4th &5th graders and youth group students will be dismissed from the adult worship to their respective class rooms at 10:00am. The first Sunday of each month youth group students stay in the Sanctuary for the duration of the service. HOW DO WE MINISTER TO FAMILIES? We see our children’s ministry as only one part of your child's overall spiritual formation, which we believe is primarily under the parents’ leadership. Thus, we believe strongly in a close partnership between the parents and our staff and teacher volunteers. This partnership is expressed through regular communication, parental involvement and occasional training sessions. Quarterly Family Worship services provide an opportunity for children to join the adults for a time of singing and Bible teaching, before leaving for their own program. These services afford families the opportunity to seek God together, and enable parents to model a heart of worship to their children. Parents of infants are provided a special area in the back of the sanctuary every Sunday. 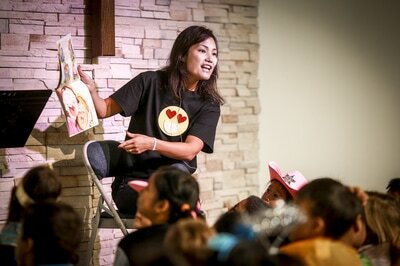 If you have any questions about this ministry please reach out to our Children's Ministry Director, Kimberly Cho.